It’s been a while since I’ve done a manicure post of any kind. Like I mentioned in my last post, I’ve been super busy and overwhelmed with life so polishing my nails hasn’t been on my to-do list for a while. 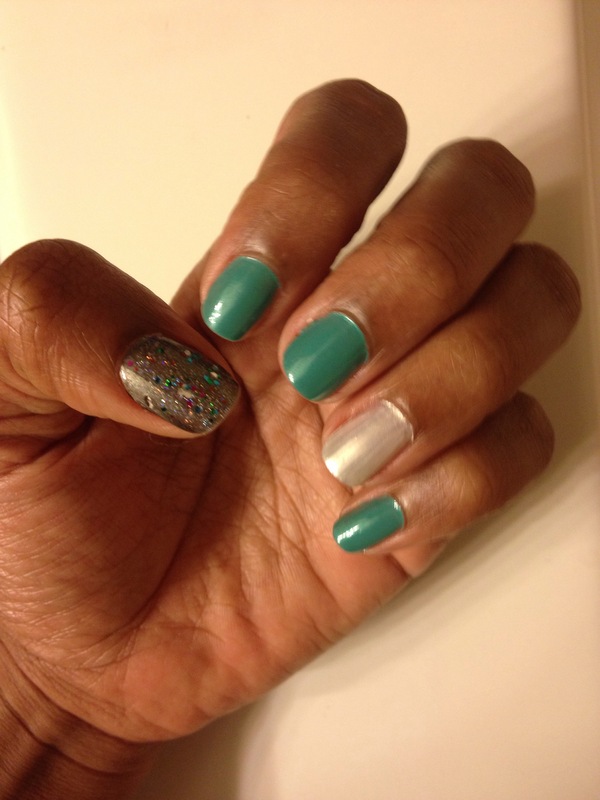 But any who I managed to squeeze in some me time and treated myself to a self-mani. What do you think? 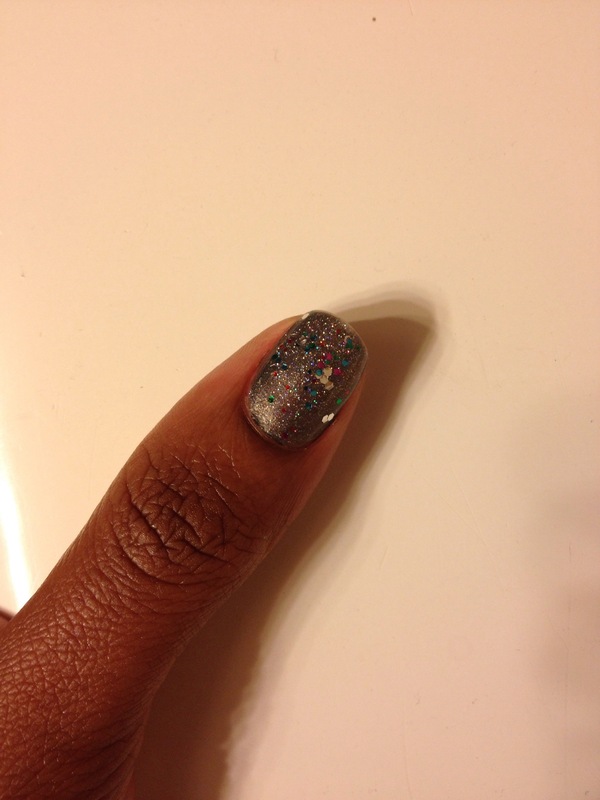 I’m kinda digging the color combo…especially how the glitter pops on the charcoal grey polish. 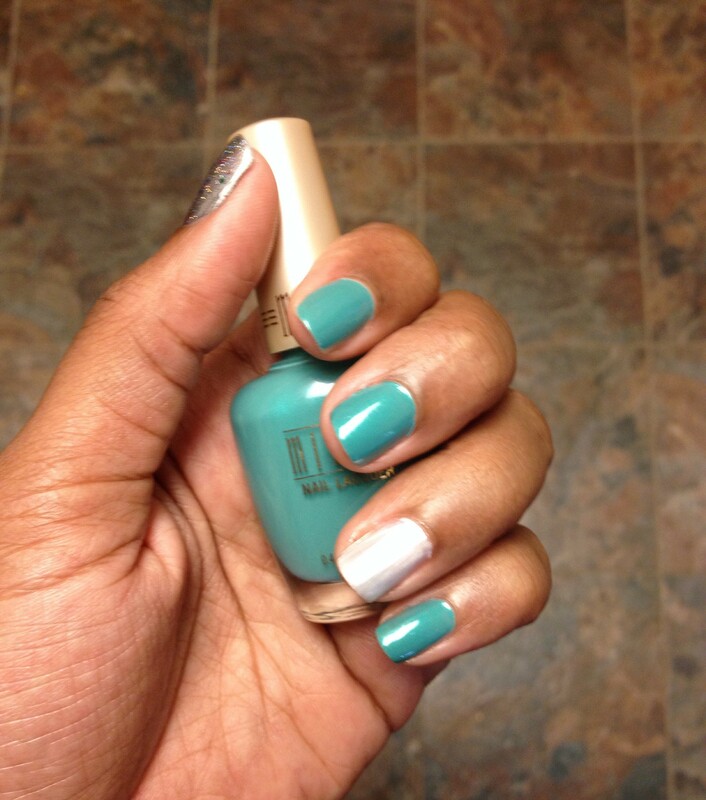 What color are you rocking on your nails this week? 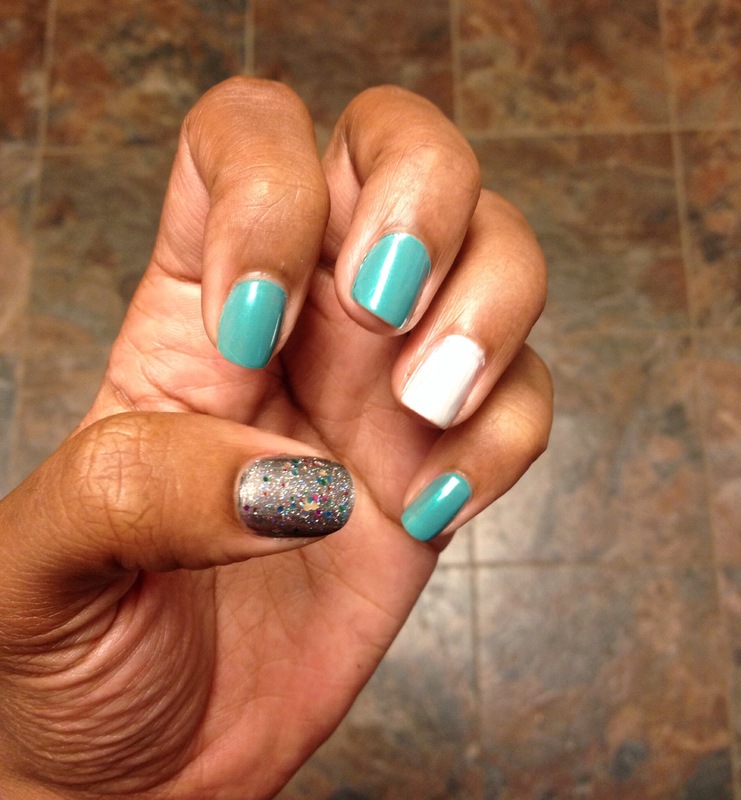 This entry was posted in Midweek Mani, Nails, Savvy Beauty Tips and tagged Julep Maven, Manicure, midweek mami, Milani, Nail Art, nail polish on October 9, 2013 by Roni the Savvy Housewife.